For years Dieselor is closely working with companies from the transport sector in Bulgaria. Thanks to the options for loading fuel from petrol stations Dieselor and/ or receiving deliveries on site, we are very convenient for companies dealing with both local and international transport. 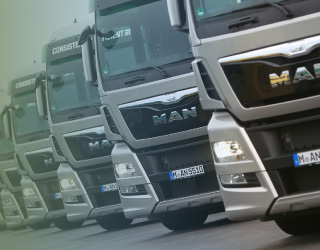 Taking into account the needs of transport companies of accuracy and quality guarantee, Dieselor ensures quick and timely deliveries thanks to its own fleet of 11 trucks, tracked with GPS systems from the loading of the fuel to the end customer. Especially for the winter conditions, Dieselor provides its customers with diesel, suitable for extremely low temperatures down to -30*C and which prevents obstruction of the normal working process. This high-quality diesel ensures seamless start of the engine even in the coldest mornings, uncompromised behavior of the vehicles during winter days and nights, as well as lower fuel consumption. Moreover, Dieselor offers a specially developed diesel additive – Dieselor OK – in summer and winter versions (link). Since we are aware how important it is for transport companies to prudently manage their fleet, we offer flexible terms for payment, refueling and web data for loaded fuels.